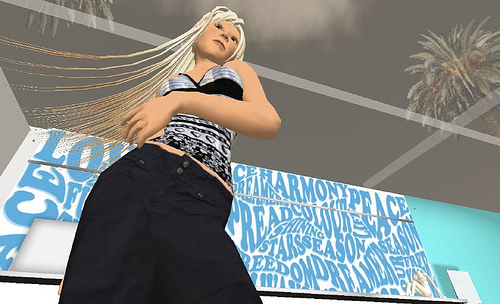 Fashion has been one of Second Life's hot commodities since the early days. 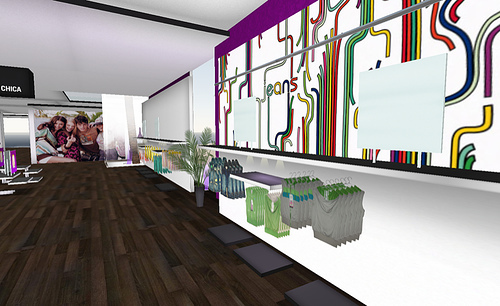 Many residents leaped to the challenge of creating virtual clothing and the number of stores is astonishing. 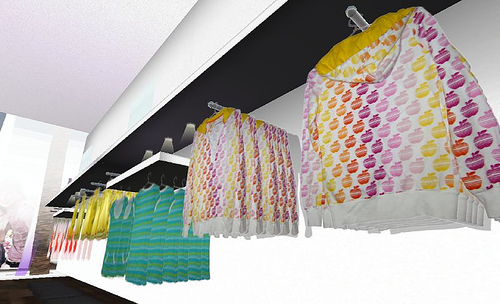 Everybody in Second Life needs clothing, even more so than bling bling apparati or cars. Yet very few Fashion houses have come to Second Life. Adidas and Reebok have a presence, and Calvin Klein, but that's about it as far as it goes to official presence (and not imitation). Spanish fashion house Bershka is going to add another big RL fashion brand to that shortlist. "For us, bringing Bershka to SL (for whom we've been long developing design and web projects) is specially interesting. Bershka is an important brand on fashion industry (400 shops in 28 countries) who consider Mosi-Mosi their preferred new media partner.Bershka will offer a complete subset of their real life clothing items every season with their woman, man, jeans and Bsk sections. The entire island will also be updated every season to keep up with the collection main theme. We will also have regular parties and events for the SL community in an effort to offer a good place for them and us to meet and discover each other." says Daniel Aguilar of the Spanish interactive agency Mosi-Mosi, located in Barcelona, also responsible for some work on the Swedish Embassy in Second Life (next to Electric Sheep Company) and is most known for its SLOOG product. The build is still in production stage right now, and next week will see a wrap up. A few days later will see an official opening event, mainly targeted at the press. I'll be looking forward to seeing the complete build. Some pics on the work in progress can be found in this Flickr set.